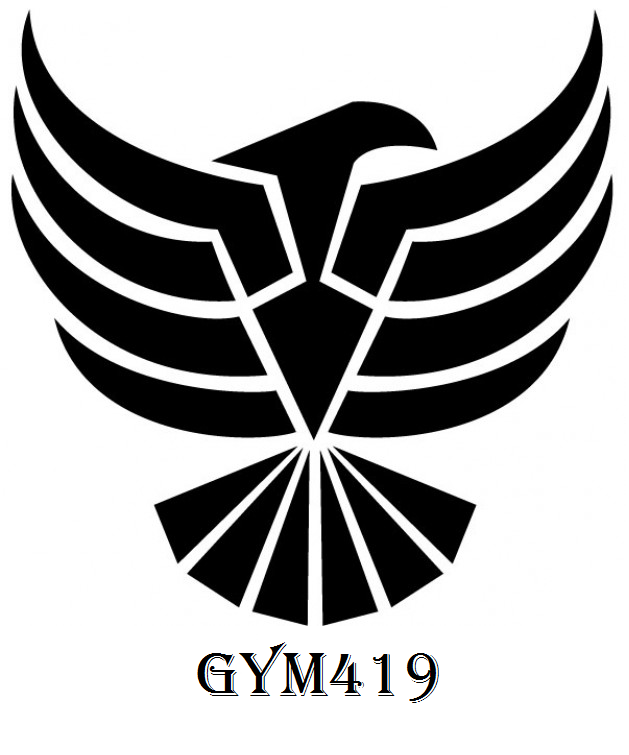 GYM419 WOD #7: LEG DAY! 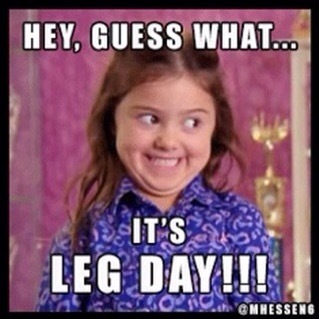 The dreaded leg day. The format is the same as the Upper Body workout: For this style of training, you want to use a 1-10 scale for effort. A 1 would be sound asleep a 9 is when you can’t go any harder/further (but you really could if you dig deeper) a 10 is when you truly hit failure. That being said, a 5 would be like walking up a flight of stairs. A 6 would be like taking the stairs with a full laundry basket. You get the idea…I hope. You will be doing 2 exercises per body part. One main exercise and a second exercise during your “super set”. You will be doing a set of 12 reps (Level 5 intensity, basically a warm-up), then a set of 10 (Level 6 Intensity), then a set of 8 (Level 7 Intensity), a set of 6 (Level 8 Intensity) then comes your super set, where you do another set of 12 (Level 9 Intensity) followed immediately by the second exercise for 12 reps (Level 10 intensity). If you are just starting to workout for the first time, I suggest doing the Machop sets. If you haven’t worked out in a while, but know what you’re doing I suggest the Machoke sets. Just until you know how the training is going to treat your muscles. I don’t want you wimping out after the first week. The Machamp sets are where you should be as soon as possible. And there it is. Your complete Lower Body workout. Subscribe for daily updates. Follow us on twitter @barefootbuffalo These should be getting on a better schedule soon. Gym419 has the philosophy that there is no quick and easy way to lose weight. We believe that you do not work out to lose weight, losing weight is a side-effect of working out! You should be working out to be better suited as a human being. Remember: It’s all on you if something goes wrong. I am not a certified trainer. I’m just a guy who is working out and sharing his workouts with the world! This entry was posted on January 7, 2015 by Joe Kenyon. It was filed under Uncategorized and was tagged with fitness, gym, leg day, squats, workout.